Unfortunately, our Thailand HIV Orphanage Project is not currently available. If interested in participating in one of our projects, where volunteers interact with children, we recommend visiting our Volunteering with Children Page. Easily one of the most profound experiences in the mix, volunteering at the HIV orphanage puts you on the frontlines of one of Thailand’s most pressing concerns. By partnering with this international foundation, you’ll transform these children’s summer vacation into an epic event. This project is only open during the Thailand’s summer break (early March until mid-May), when the children spend most of their time at the orphanage interacting with the staff and volunteers. This is when the efforts of volunteers are most needed, as the full-time employees are stretched to keep up with all of the children in full-on summer play mode. 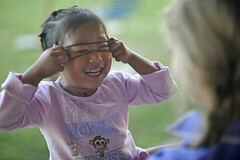 The orphanage is run by an international team with a powerful network in Thailand and abroad. They’ve devoted their lives to fighting HIV and caring for children born with the virus. Under the guidance of the staff, you’ll contribute to the cause by leading engaging activities that encourage whole-body health. The usual repertoire focuses on some combination of sports, music, computer skills and games. Needless to say, everyone has a good time. This is summer vacation, after all. The orphanage is a well-run facility that knows how to attract and maintain committed staff, and you’ll have a go-to contact who can help you can help you maximize the impact you achieve during your limited time with the children. If you’re anything like the other volunteers who have taken on this project, your only regret will be that you couldn’t stay longer. 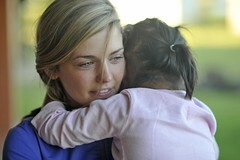 For some new initiates, the biggest surprise is the bubbly, optimistic atmosphere at the HIV orphanage. It’s true that these children are battling HIV and AIDS on a daily basis, but this is not a doom-and-gloom scenario. These are real children living real and active lives, and they’re bursting with life, excitement and energy. Don’t expect many somber faces here. In some cases, the parents – most of whom are in the advanced stages of AIDS – come to live in special quarters at the orphanage. Here, they can receive all the treatment they need, and they have the simple joy of living out the last of their days with their little ones. This is good for the kids’ self-esteem, reinforcing the fact that they haven’t been abandoned by their parents. It also facilitates transition between the parents and the staff, easing the children into their new family. Flexibility is important on behalf of volunteers. The summer is chocked full of special activities, some of which you’ll be able to join in. But there will be a few days in April during the Thai New Year (Songkran) festival, when daily activities grind to a halt. Even so, with a little bit of patience and a healthy dose of that easygoing Thai attitude, you won’t miss a beat. The minimum age requirement for the HIV Orphanage Project is 20. The orphanage requires an additional application form from all perspective volunteers. After completion of the additional application, orphanage staff will determine acceptance into the volunteer service program. Friends For Asia additionally requires all volunteers in this project (and all other projects where volunteers work with children directly) to submit a certified police background check before volunteer service begins. Although it’s not necessary for volunteers to be Christian, the administration of the orphanage would like for all volunteers to be aware and respect that the orphanage functions and was founded under Christian principles.